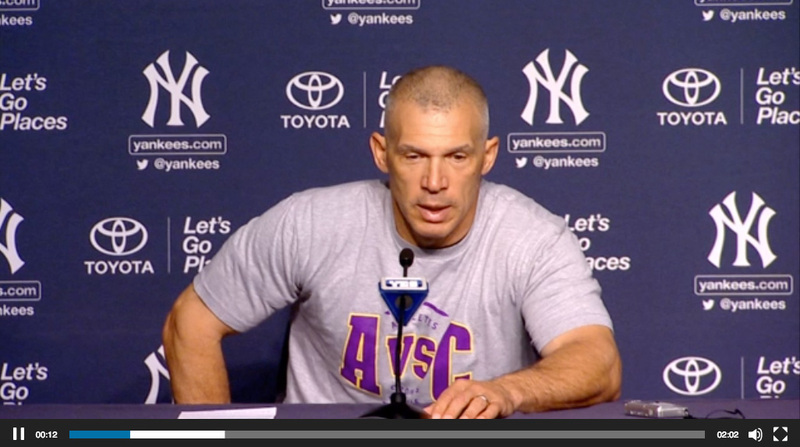 Joe Girardi, former manager of the New York Yankees, tells Noah’s story while wearing an A vs C t-shirt during his pregame press conference to help raise awareness of Athletes vs. Crohn’s and Colitis. Click Joe’s picture to watch the video. I stumbled on this site and l am so encouraged by this and would like information on how l could be of help. I too have IBD and was an adult when diagnosed. I can imagine how very difficult this has to be for children.